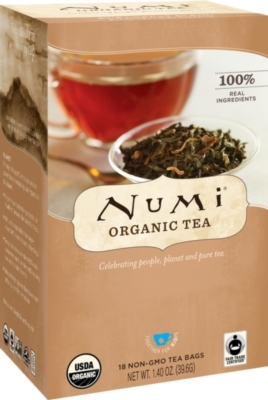 Packaged in biodegradable, filter-paper tea bags, Numi tea lets you enjoy rich flavor while being environmentally conscious. Pick from premium flavors like aged earl grey, rooibos, mate lemon, breakfast blend, golden chai and more. One box contains 18 single serve packets.